Tony was inspired to become a dentist by the idea of helping people regain their smiles, get out of pain or be able to use their teeth again. He attended the University of Queensland and graduated with honours in 2016 with excellent reports from his tutors. He joined John Appleyard Dental after learning about their high standard of care and state-of-the-art equipment such as 3D digital low-dose X-ray scan reconstruction equipment, which is uncommon in country practices. Additionally, he is happy to be a part of one of the first National Safety and Quality Health Service-accredited practices in Australia. Tony’s interests include orthodontics, dental implants and smile enhancements with cosmetic dentistry. Those who feel nervous or anxious about dental work, as well as children or people with special needs will feel comfortable in Tony’s capable, gentle hands. 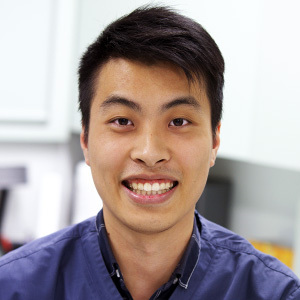 He has completed additional training with Implant Direct Australia, Invisalign® and Cambridge Academy of Dental Implantology’s International Certificate in Dental Implantology. In his spare time, Tony enjoys advancing his skills and knowledge in the dental field, listening to music, reading, binge-watching television, computers and having fun. Get started today on improving your oral health. Contact us to book a convenient appointment!